When you visit site options to get some inspiration, you are surely drawn in by the design. 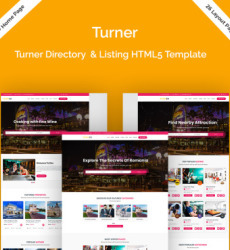 You want to choose a website template that is great based on what you see there. This is not a good idea though. 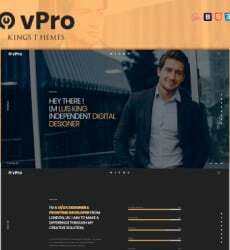 What you want to do is take your time so that you could choose the best website template for your business site. Here are some tips to help you do exactly that. Always choose a website template that is as simple as possible, all while being as appropriate as possible. What you should focus on in many cases is simplicity, due to the fact that this helps remain focused on what actually works in your case. The very best business websites out there are those that guide the visitor towards specific areas of attention. That is why you need to stay focused on simplicity. If the website template is way too complex, problems appear and results are not going to be as great as they should be. This is one part of the template that few people actually look at. We are faced with a vital part of any website. The navigation menu is exactly what dictates where the visitor goes. Remember that most people that visit your website will not actually reach the content they want. They manage to find that content through the navigation menu, which should always include a Search feature. Besides this, be sure that there is some space so that contact details can be added. At least an email address should be put in the header area of a website. One of the things that are rarely considered is the fact that in the future there will be changes that have to be made. In the event that website templates are written with faulty code or are way too complex and the knowledge of the person that will manage the site is low, problems are bound to appear. Always think about how easy it is to make modifications. This will help you make a much better choice. Last but not least, if you want to run a business website, it is a certainty that extra functionality will eventually be needed. This is why you absolutely need to consider using WordPress. It gives you access to hundreds of thousands of themes, both free and paid. It is practically impossible not to find something that is suitable for your website and the best thing about it is that customization is often simpler than with a regular template, even if you do not know HTML, CSS or PHP.